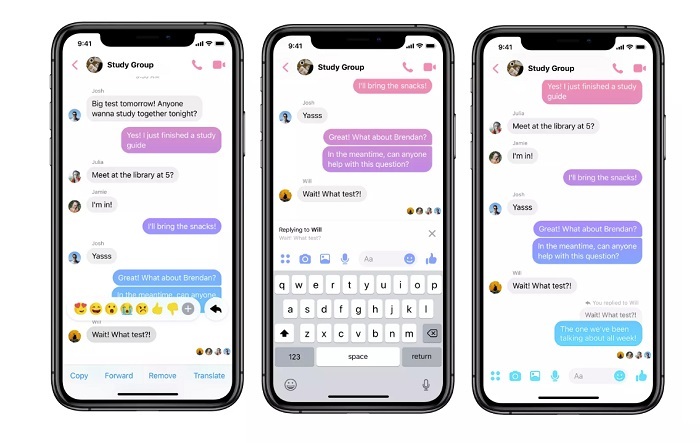 As Social Media Today reports, Facebook is rolling out a feature in Messenger that allows users to respond to selected messages within a chat. To refer to a message of a chat, long-tap on the respective bubble and select the emerging “share” icon next to the emojis. Write your comment and send it. Most users will already be familiar with the new feature because they know it from WhatsApp. Especially in group chats, it is very convenient as you can react explicitly to the comments of individual members. Overall, the message history thus gets much clearer.